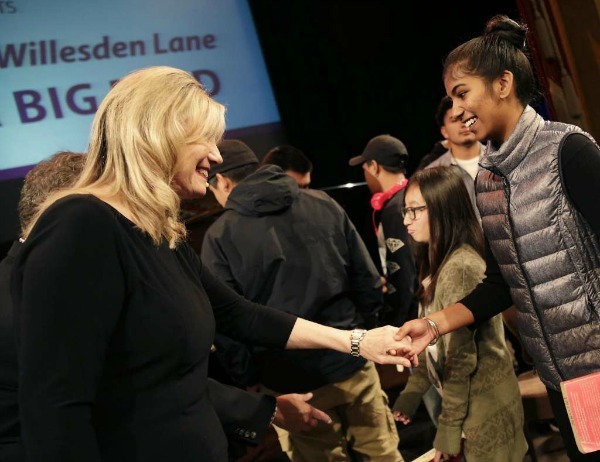 Today’s San Francisco Chronicle featured a great story about The Children of Willesden Lane BAY AREA BIG READ and its impact on local students. We are so proud that we were able to bring Lisa Jura’s story to nearly 7,000 students and teachers throughout Northern California. 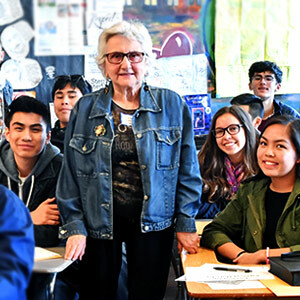 Seven decades later, some students at Francisco — who are about the same age as Lisa when she fled Vienna — see echoes of themselves in her life. For 13-year-old Renee Huang, who has played the violin for two years and the viola for three, the way Lisa used music as an emotional escape in London felt familiar. “When my mom and dad were having tough times, it helped me to get away from the stress. I’d play the violin upstairs when I just wanted to block it out and get away from my problems,” Renee said. “I have a stepsister who emigrated from China to here. She doesn’t speak English. She goes and plays the piano we bought for her when things are tough,” she continued. For many students, Lisa Jura’s story of change and hardship in an unfamiliar land is not unlike their own experiences.